If you’ve been waiting for a smartwatch with a bit more style and class than the current crop of devices offers, Motorola has you covered. It’s called the Moto 360 and is powered by Google’s Android Wear, the company’s brand new mobile operating system for wearables. As the name suggests, Android Wear is a modified version of the search giant’s existing mobile OS. It’ll be heavily based on Google Now voice recognition technology and will also focus on health and fitness tracking – a market that’s expected to explode in popularity in the coming years. The goal of the project was to create a consistent experience for smartwatches running the OS. Motorola said the timepiece, which will feature a rounded face and premium materials, will notify users regarding e-mails, calls, upcoming meetings, the latest social posts from friends and family and more through subtle alerts. Based on published images alone, the Moto 360 is easily the best looking smartwatch to date IMO. Early Android Wear hardware partners include Asus, HTC, LG, Motorola and Samsung while Broadcom, Imagination, Intel, MediaTek and Qualcomm have all been tapped as chip partners. We’re also hearing that Fossil Group will deliver Android Wear-based watches to the market later this year. A developer preview is available for download as of writing. 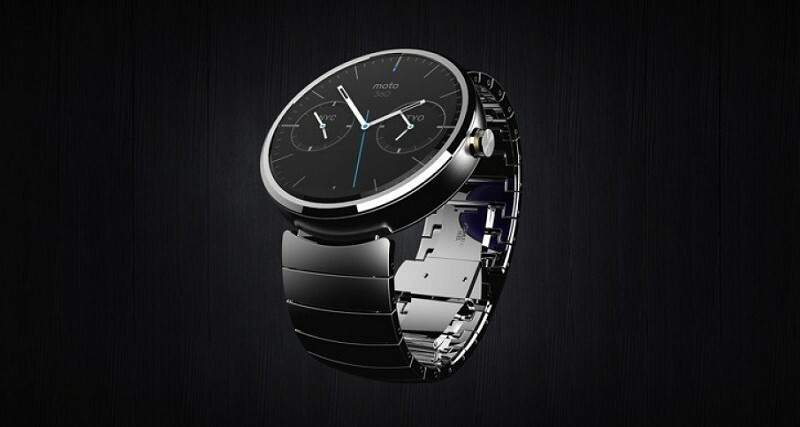 Motorola said the Moto 360 will be available in a variety of styles globally this summer. No word yet on pricing, however.